If you can't see this rotating panorama, your browser probablbly doesn't support Java. This rotating map shows West Wansdyke (bright green), 'Mid-Wansdyke' or the Roman road (blue) and East Wansdyke (green). Each section is numbered (red). 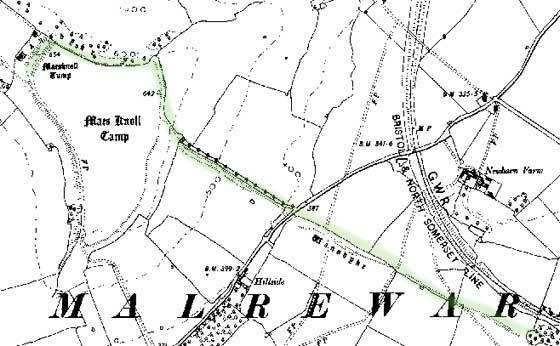 Part of the Norton Malreward parish map, with Maes Knoll and the start of Wansdyke.